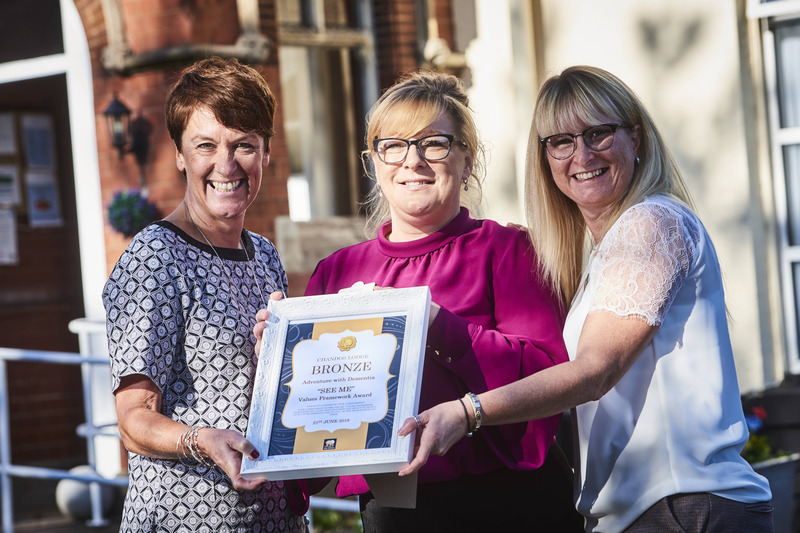 Staff at a Midlands care home are celebrating after receiving a prestigious award which recognises the home’s commitment to supporting people with dementia. 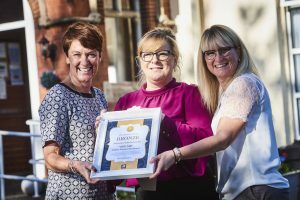 Chandos Lodge Residential Home in Hagley, West Midlands, has been presented with a Bronze Award by Adventure with Dementia – an organisation which helps health and social care providers to enhance the lives of people living with dementia. To gain the recognition, the care home took part in the six-month ‘See Me’ Values Framework which are based on key areas including stimulation, engagement, environment, meaningful and education. The training programme undertaken by the staff covered making closer links with the community, the care home environment, enhancing meals and mealtimes, stimulation through music and supporting residents every day to live the fullest lives possible. Ann Norris, manager at Chandos Lodge, said: “This is a big achievement for us as it shows we’re taking the right steps in helping our residents who are living with dementia. “We had to go through a really tough process and will continue to be rated every six months to ensure everything remains in place. Rachel Kenyon, co-founder of Worcestershire-based Adventure with Dementia, added: “Throughout the programme we were so impressed with Ann and her team. It is estimated that there are 750,000 people living with dementia in the UK and that figure is expected to rise to over one million by 2025. Chandos Lodge is part of the privately-owned Clarendon Care Home Group and is registered with the Care Quality Commission for 34 residents.